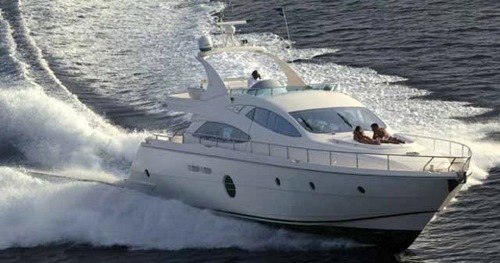 Motor yacht WAVERUNNER was delivered by Aicon in 2007 and measures 20.4m (66.9ft). 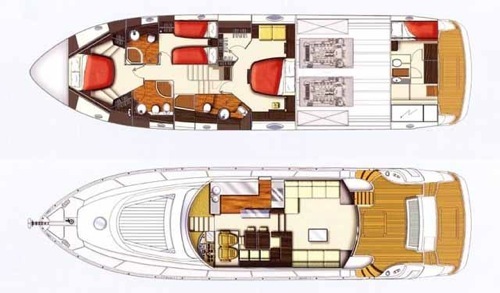 The yachts versatile layout is spacious, creating the ideal yacht for indoor and outdoor comforts. 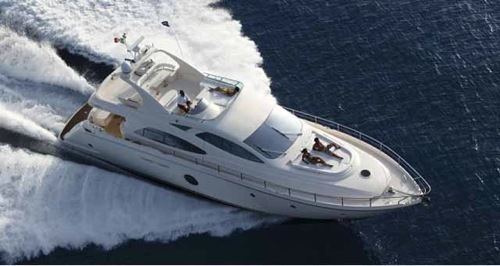 M/Y WAVE RUNNER can accommodate up to 8 guests in 4 cabins and is available for charter in the East Mediterranean. Charter yacht WAVE RUNNER boasts a welcoming and warm interior enhanced by plenty of natural light from large panoramic windows. 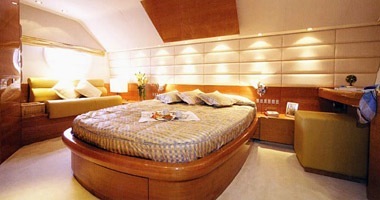 The décor features fine high gloss wood floors, subtle cream soft furnishings and a truly elegant Italian décor. The lounge and dining are an open plan, aft 2 plush sofas and a coffee table ensure guests ultimate comfort, a few steps up and forward, the formal dining space has an element of separation, yet retains the casual ambiance. 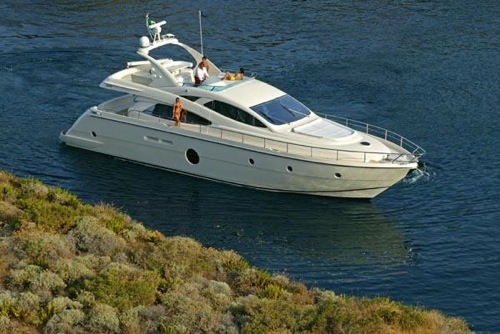 Guests accommodation aboard the WAVERUNNER motor yacht is on the lower deck offering a full beam master cabin amidships, 1 full beam VIP cabin forward and 2 twin cabins, all 4 cabins are light, spacious and have en-suite facilities. 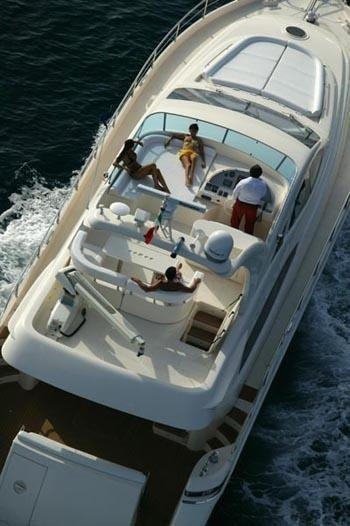 Aicon 64 yacht WAVE RUNNER has ample exterior living areas for all to enjoy. 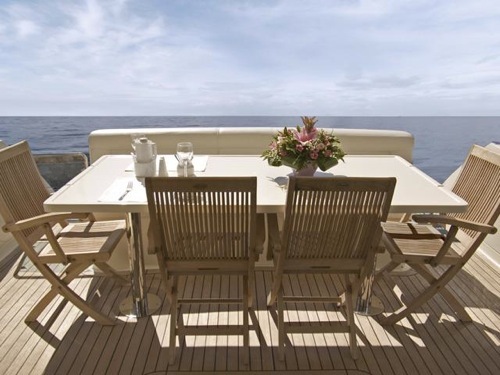 The aft deck boasts an alfresco dining option and additional built in seating, further aft an extended swim platform allows for effortless water access. Wrap around decks and stainless steel hand rails ensure easy access to the foredeck and double sunpad, perfect for a little privacy. 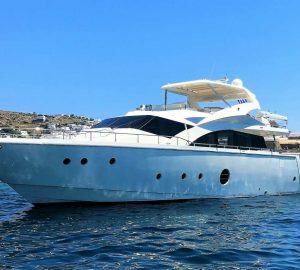 WAVERUNNER boasts a generous upper deck flybridge for a yacht of her size, complete with helm station, double sunpad and further alfresco dining option. Charter yacht WAVERUNNER has a beam of 5.28m (17.3ft) and a draft of 1.2m (3.9ft), she is powered by 2 x CAT C18 1015HP engines, with comfortable speeds of 22 knots and a shallow draft, M/Y WAVE RUNNER is the ideal yacht for families or groups of friends wishing to explore the beauty of the east Mediterranean. 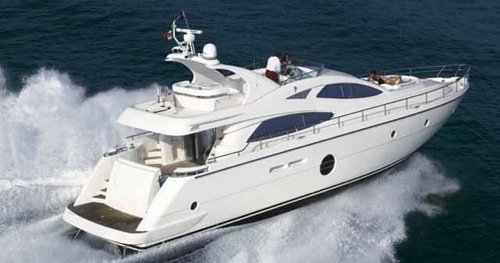 Luxury Aicon 64 yacht WAVE RUNNER can accommodate 8 guests in 4 en-suite cabins. 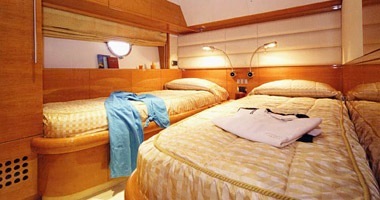 The master cabin is amid ships and full beam of the yacht with a sofa and vanity. 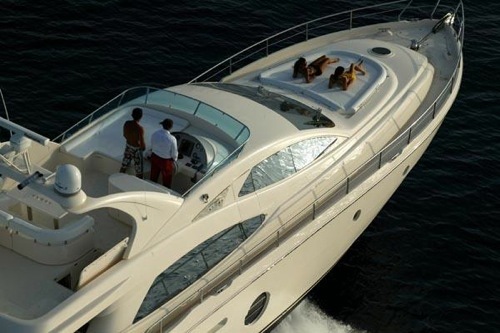 A VIP cabins is forward and full beam of the yacht. A guest cabin offers side by side twin beds and a further guest cabin has upper and lower single bunks. WAVE RUNNER has the following Tenders & Toys onboard: Fishing and snorkeling equipment, Tender with outboard engine, rings, water skiing, board games. 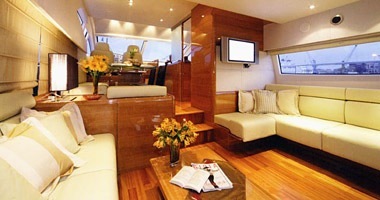 Audio Visual Equipment and Deck Facilities include TV Plasma, Satellite TV, DVD, CD player, Internet, Radio.